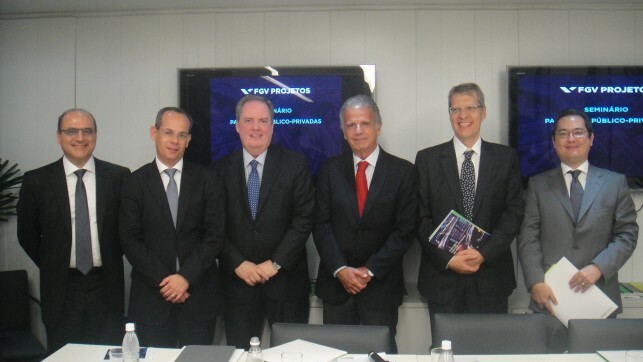 FGV Projetos held on March 21, in São Paulo, the Seminar on Public-Private Partnerships (PPPs) aiming to evaluate the 10 years of the law that created the PPPs in Brazil and to contribute to qualifying the debate on challenges and opportunities in applying this financing model. 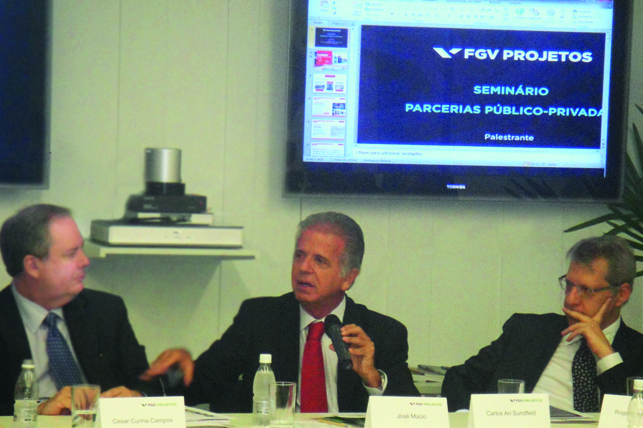 At the occasion, a select group of representatives of controlling, government and academic bodies was present, such as José Múcio Monteiro, minister of the Federal Accounting Court (TCU), Frederico Amancio, secretary of planning and management of the State of Pernambuco, Glauber Faquineli Fernandes, mayor of Uberaba, Fausto Morey, assistant of the secretary of metropolitan transports of the State of São Paulo, Claudia Polto da Cunha, director of Campanha Paulista de Parceiros and state counsel to the Finance Department, and Carlos Ari Sundfeld, coordinator of the School of Law of the State of Rio de Janeiro of Fundação Getulio Vargas. 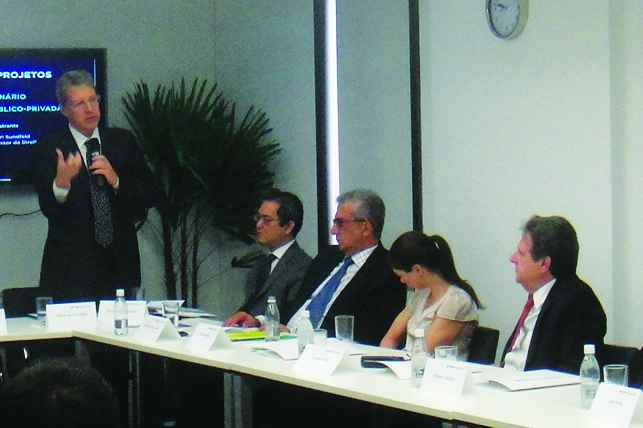 In addition, important representatives of the private sector participated in the debates, such as Geraldo Villin Prado, superintendent officer of public partnerships of Odebrecht, Rogério Yamashita, head of project finance in logistics of Itaú BBA, Joaquim Levy, superintendent of Bradesco Asset Management, Marcus Senna, general counsel of CCR, Roberto Deutsch, chief operating officer of Camargo Correa, and Elmar Varjão, superintendent officer of OAS. 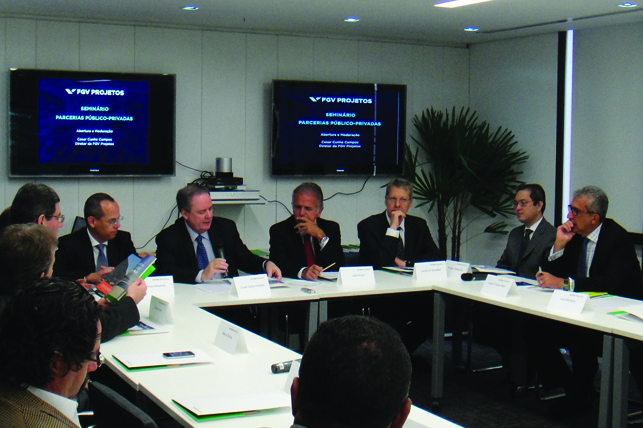 Representatives of institutions such as AB Concessões, ABIMO, Banco Fator, Mattos Filho Advogados, Pinheiro Neto, Proparco, SP Negócios, Sundfeld Advogados and TEVEC were also present.